Mark is a returning vendor who has worked with Monrovia for 25 years! 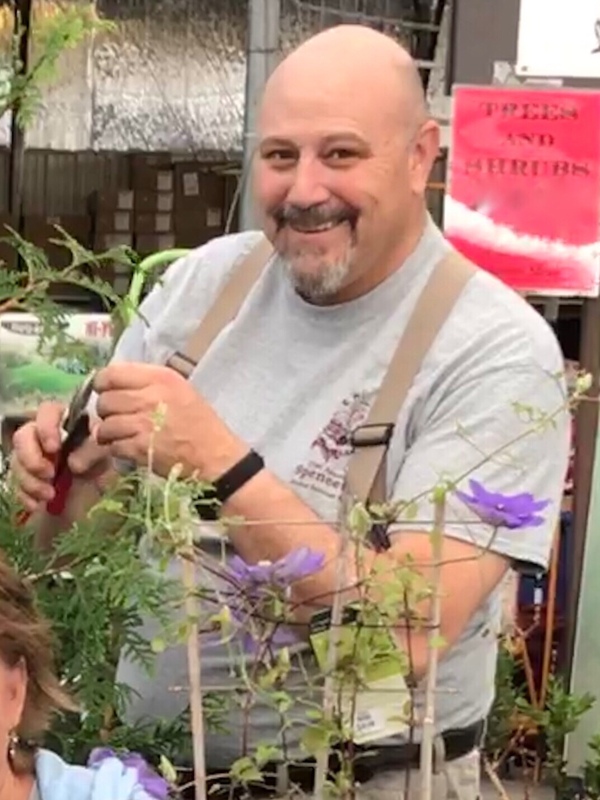 He started in the plant nursery industry when he was just 13 years old and continues to this day helping people like you choose the best trees and shrubs for your landscape. His favorite new plants include Crimson Kisses Weigela because of its nonstop red flowers and Bar Harbor Hydrangea with its full white flowers on a sturdy dwarf plant. Have a trouble spot in your yard or wondering what would work best planted together? Mark has your answer! He can also take special plant orders at the show to be delivered with our regular order in season.